Our Winter Warmer massage is sheer indulgence for the winter season. With a definite chill in the air, fight off the winter blues with a combination of treatments in one session. Relax your acheing muscles and cold bones with a foot, back , face and scalp massage using only the finest warm essential oils. Combine this with the heat of our luxurious heated Lava Shells and you will have total relaxation. 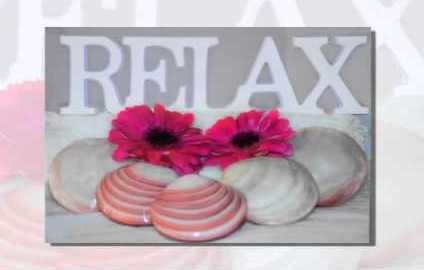 Our lava shells retain the heat throughout the massage, giving you , our client constant heat throughout your treatment. We select only the finest essential oils which are selected for your individual requirements. This is the perfect pick me up for the winter season.